Israel celebrates 70 years of the proclamation of the independent state this year. A lot of events and celebrations have been prepared to mark this anniversary. Also, Israel wants to expand its role in economy and innovation in Serbia, while an increasing number of the Israeli tourists visit our country every year. 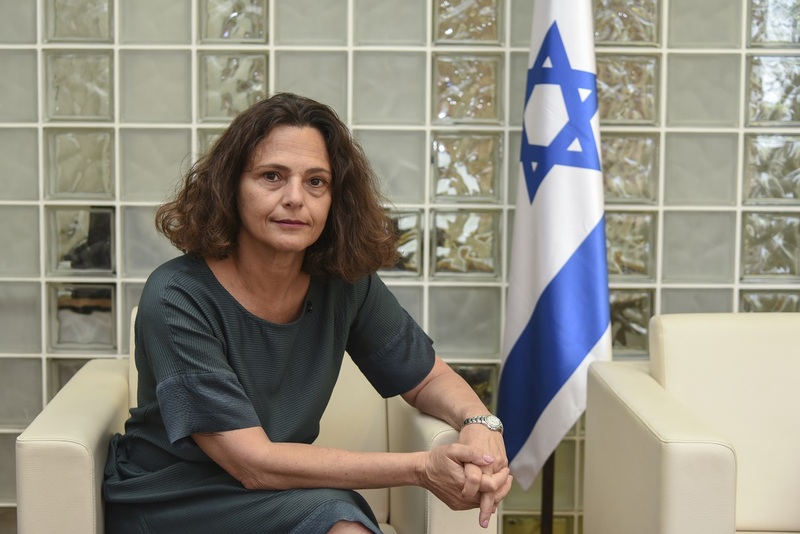 We are talking to H. E. Ms Alona Fisher-Kamm, the Israeli Ambassador to Serbia, about these topics. We can easily compare Serbia to Israel nowadays. We share a few striking similarities – Israel has the population of close to 8 million people, as does Serbia, without Kosovo. Serbia’s territory is much bigger, but Israel is smaller than Vojvodina. The majority of Israel’s population came to the country during the last 140 years, while frequently facing a hostile environment, like the Ottoman Turkey. In spite of the British embargo on Aliyah, and the issues with the Ottoman Empire and Arab neighbours, you managed to turn desert into an oasis, and created a hi-tech society, smart cities, and educated population with a lot of optimism. How did the people maintain the perseverance and resilience during all this harshness? — I would like highlight one thing: it is true that the First Aliyah, i.e. the first wave of immigrants, happened at the end of the 19th century, but during the past 2,000 years, there were some Jews living in the then-Palestine. These were mostly religious people, concentrated around religious sites like Jerusalem, Tiberias and Hebron. At the end of the 19th century, the Jews saw the rise of nationalism all over Europe, they felt a part of it, they felt they were a nation, while at the same time, suffering persecution. They started looking to implement the visions and ideas of nationalism, and of course, their first idea was their homeland. During the Ottoman and British rule, the environment was hostile and the authorities put various obstacles in place. That did not happen throughout the entire British rule, but mostly after 1936, thus coinciding with the rise of the German Nazism. It was a harsh and really unfair situation, and as a result, we had illigal immigration then. At one point in time, the Brits prevented the Jews from entering the British Palestine, and the Germans persecuted them, so the Jews were really frightenened. Thousands of them disappeared trying to get to their homeland. In terms of innovation, it built our country. And it’s not only innovation that should be credited for that, but also the heritage of innovation. 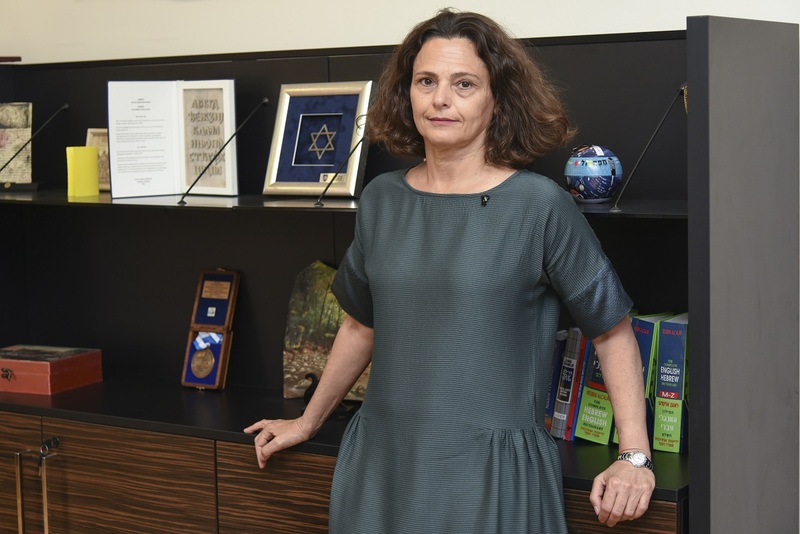 This represents very much the spirit of Israel – on one hand, we are mindful of our roots and we are very proud of our past and the history, and on the other, none of those prevent us from creating a better future and from innovating. It all comes from the idea that we are a very old nation but a very young state – we have had to innovate and think outside the box all the time. If you are talking about similarities, I think we are very similar to the Serbs: aware of our past, but also being mindful of the future. We don’t lose the sight of our past in order to focus on the future, like many countries and cultures do. We cannot forget our past, because we don’t want to. What makes us particularly proud is the fact that the grandfather of Theodor Herzl was from today’s Serbia, from Zemun, and he knew that you could revive the country that once had perished, four centuries after the Turkish slavery. He witnessed it in Serbia. If the Serbs, Bulgarians and Greeks could revive their own states, so could the Jews. — It was more than that! Herzl was very much influenced by the Jewish nationalist Alkalaj, who was a rabi in Zemun. And Alkalaj was very much influenced by the Serbian nationalism. He was an intellectual and wrote a lot about the Serbian nationalism and what Jews could learn from it. And he was a good friend of Theodor Herzl’s grandfather. If you read Herzl’s work, you can see that he was very much infuenced by Alkalaj. It was a mutual inspiration and influence of Serbs and Jews. It was an interconnection. I would also like to mention David Albala, a Serbian soldier who was sent to Washington, D. C. by the Serbian government, in order to lobby for the Serbian nationalism, and in the end, he had a lot success in terms of both the Serbian and Jewish national issues. The more I live here, the more I learn about the Jewish heroes influencing Serbia and how Serbian heroes influenced Israel and the Jews. As for the Startup Nation, yes, we are brimming with innovations and startups, but so are the other countries. But when we talk about innovations in Israel, they are also very relevant to Serbia. The Israelis did not start with a lot of money: we started from the scratch because we are not a wealthy country like Switzerland or Scandinavia. We had to start and innovate from zero. Israel is an innovative country. In order to convert innovation into our driving force, we had to transform our state budget into a developmental one, and it had to be a straight-line progress. It was a strategic goal, because we had to make sure that the next government would continue down the same path, not stopping it for political reasons. In his book “The Fifth Mountain”, Paulo Coelho writes – Yahweh says to a Jew: „I will destroy this town“, and one Jew stands up and retorts: „You cannot! It is my town!“. Yahweh replies: „I am God!“, and the Jew replies back: „I don’t care, I can object!“, so God spares the town. In the Old Testament, Jews quarreled with God all the time. In the New Testament, the Christians communicated to God through Jesus and his Disciples, and in Islam, the very word means „obedience“, so in every new Abrahamic religion God is becoming more distant. Was that the reason? — I can agree with that. Judaism preserved this spirit of debate even outside its homeland, during the 2,000 years of refuge. It is a religion based on debates. There is no one rabi that will give you orders – everything is based on debates between rabies, they talk with each other, conflict and then come out and say something. Also, there is a debate between a rabi and the faithful. If you are an ordinary person, you can even say „I disagree!“. Furthermore, to establish the base for a debate, people must be educated. There is no gap between education and religion, it all goes together, thought yeshivas etc. This is what helped Judaism to survive all these centuries and it gives us the base for the „thinking outside the box“. Besides the fact that everything in Israel was constructed out of a necessity, we had to think outside the box. The Jews were always a minority, frequently persecuted. You have to be creative to survive in a very hostile enviroment. I’ve been told by the Jews that they, contrary to popular belief, don’t like people with a lot of money. Rather, they like people who can make money. If you have a business empire, or 200 banks in your possession, they can be taken away from you and you will starve, so you have to be prepared to create new wealth. Do you agree? — This explains the creativity I mentioned earlier. We always had a feeling that we were under a siege and we had to come up with something. This was all incoporated into the state of Israel. We had no mines, no water, no industry, no resources – we came to the desert. But there was no other place to live! Nobody wanted us, even before the Holocaust, and especially after it. Also, we did not want to go anywhere else but Zion, Palestine, Israel, whatever you want to call it. We had to create water, not only to manage it. We had to find solution for creating resources. Later, we were surrounded by enemies. Plus, we had a very small market too. You cannot develop an economy for such a small market, and our neighbours were our enemies, so trading with them was out of question. So, we had to think what to offer to the more distant markets – be it services, knowledge… Politically speaking, we are very fragile. We have to diversify our export markets, instead of relying on a specific one. Today, our export is 1/3 USA, 1/3 EU and 1/3 Asia, approximately. This is very stable! If you have a big military industry, how can commercialise it in civil sector? If you have a good university education, how can you commercialise it on the market? These were challenges we successfully turned into our advantages. The Romanians were always the greatest mathematicians in Europe, and the Indians in the world. But until quite recently these two nations did not monetise their knowledge. The monitisation of knowlegde is something we can all learn from Israel, like a safe driving application, or the one that detects diseases. Could we boost the cooperation between the Israeli and Serbian universities in terms of practice and courses? — I have no doubt about it. But when it comes to the sceintific research and education, it is all about the money, namely it requires a lot of it. You have to create funds, amounting to millions of euros, for research, but it is possible. We are also not an EU-country, so it could be challenging, but we are open mostly to ad-hoc projects which are much easier to implement. We have a cooperation agency, called MASHAV. Every year, more than 50 participants from Serbia go to Israel to engage in different areas from medicine, social sciences, entrepreneurship, agriculture, women empowerment etc. There are a total of 7 or 8 different segments. They learn about the Israeli experience and try to implement it in Serbia. 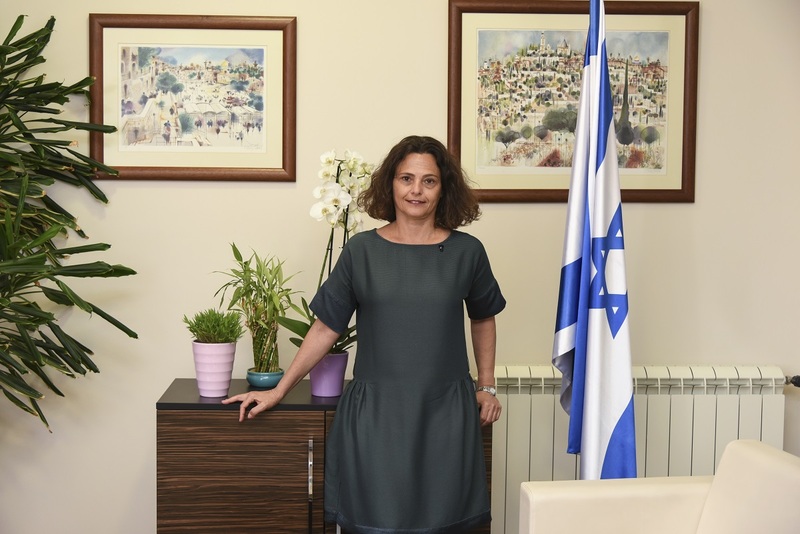 MASHAV has somewhat extended it activities, so it is not just the case of „come to Israel, finish a course and go back“, or „MASHAV will hold a course in Serbia and go home“. The idea is also to create some kind of brands and to implement the knowledge you acquired in Israel. We launched an Internet of Things Lab within ICT Hub in February this year. It was built by the participants of a MASHAV course in Israel, with the knowledge acquired in Israel. The project was evaluated as sustainable in Israel and was given a grant. There will be other projects as such to be launched in the second half of the year. We want to be involved as much as we can in the innovation and high-tech communities in Serbia. We do believe, as you said, that there are a lot of commonalities between us. We are involved in Start Tel Aviv, we collaborate in startup incubators (both private and governmental ones), and in government iniciatives, trying to be as present, as possible, in innovation but elsewhere too. We haven’t had a breakthrough as yet, and the potential is much higher. We want to have a breakthrough in our relations. We have participated in almost every innovation conference, with guest speakers from Israel. Experts and potential investors came to these conferences to get to know the market, the people, and the system. For the first time ever, we participated at RENEXPO, which focuses on renewables and water management. We have a lot to offer. This May, we are taking part in the the Novi Sad Agriculture Fair for the second time. — Yes, but in order to grasp the size of the project, you have to see it from air. There is a lot to be done in that segment, as well as in scientific and economic areas. Let’s talk about culture. Tito was a president who understood the power of film and culture. The Americans won the hearts of the people through cinema and music. In the last 15 years, the Israeli cinematography experienced a real boom that was accomplished also thanks to the Ministry of Culture and their funds. The Serbian side of the story can be easier to understand with the expansion of the Serbian film – not propaganda, but litle, heartwarming stories. And the Jews are known as very funny people – the Odessa humour, Woody Allen… The same can be said for the Serbs. They are very self-deprecating. Can we learn from Israel and emulate your model? — Of course, we collaborate a lot with the European countries. Lots of the films you mentioned were done in cooperation with the European countries. There is plenty of room for cooperation with Serbia. Cultural events are fairly developed in Israel. I would like to mention contemporary dance, jazz bands, and literature. We have very good writers whose books are transled into many languages, including the Serbian. As for films, I am not sure that the government grasped the importance of cinema. The most important is that the government is not involved in creating the content. Sometimes, it supports films that can be perceived as very critical of Israel. We have a tradition of self-denigration, criticism and debate. We sometimes want to provoke. The idea of being creative does not only extend to science and economy. This is the reason why Israeli films are so popular: they don’t tell the narrative of the country, as they don’t even focus on political situation in Israel, but rather on telling human stories. There are so many very special personal stories in Israel, maybe more than in any other country. Once you see these stories, you will figure out the life in Israel. There are many lowbudget films about immigrants, war, terror, economic pressures, and social diversity. Every family has a great story to tell, so it is very easy to make it into a film. We have very good film schools and the government is supportive of the film industry, as is the private sector which provides funds for it. The National Lottery allocates almost all of its revenue to culture, sports and education. What are the future plans of the Israeli Embassy in Belgrade? — Economically speaking, our agenda includes innovation sector, launching competitions and having a lot of Israeli speakers. We think there is a huge potential in agri-technology, as well as in water treatment. These are the main issues. Also, there is a strong focus on cyber technology, and medical devices, as we believe there is a great potential there too. I would also like to add tourism too. In the beginning, it was the Israeli tourists who were coming to Serbia, spurred by low cost flights, the visa-free regime, Air Serbia’s direct flights and especially charter flights. They were the real game changer and there has been a huge increase in the number of Israeli tourists coming here recently. This year, and this is really encouraging, we recorded a higher number of Serbian tourists coming in Israel, not as much as the Israeli tourists coming to Serbia (Growth by almost 40%). The numbers are still marginal, but the potential is huge. One of the main impediments for the tourism is the lack of information. Tourism is a very good bridge. When the Israeli tourists come here, they are eager to tell everyone about Serbia when they go home. As for cultural tourism, we will praticipate in sevral events this year, namely in the Belgrade Dance Festivals with our dance troupes, cinema events, and theatre. We will have our film week, and we will bolster the Days of Israel project. This year, in Kragujevac, we start someting much more global and universal, while in Belgrade, we will have lots of events relating to culture and innovations. If you observe these events, you will get a much more comprehensive insight of Israel. We will be more present in other cities and we want to make an impact on all the visitors. We have a lot of plans for this year!